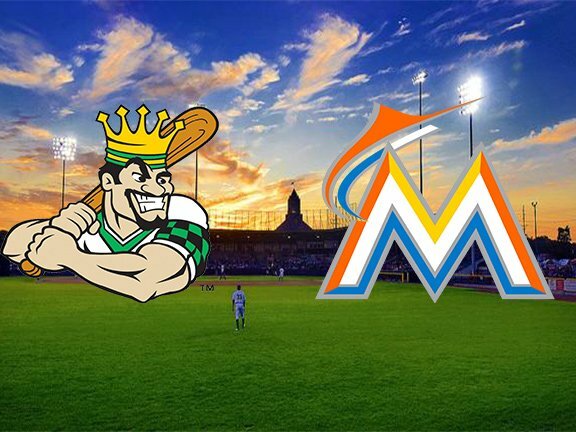 After previously announcing that former major-league infielder Mike Jacobs will manage the LumberKings, the Miami Marlins revealed the rest of Clinton’s coaching staff on Tuesday. Rounding out Jacobs’ coaching staff are former players Mark DiFelice (pitching) and Frank Moore (hitting). DiFelice joins the LumberKings staff after serving as pitching coach for the Low-A Greensboro Grasshoppers last season. Before joining the Marlins, DiFelice spent three seasons as a pitching coach in the Pittsburgh Pirates organization. His 14-year playing career included parts of three MLB seasons with the Milwaukee Brewers. Moore joins the LumberKings as he enters his 11th season as a coach in the Marlins organization, after previously serving as a hitting coach for three other Miami farm teams. The former infielder/outfielder played 11 seasons professionally, mostly for the Marlins and the Tampa Bay Devil Rays, who drafted him in 1998. He reached Triple-A as a player. This entry was posted in Clinton LumberKings, Greensboro Grasshoppers, Midwest League, South Atlantic League. Bookmark the permalink.